Heat the oven at 190℃. 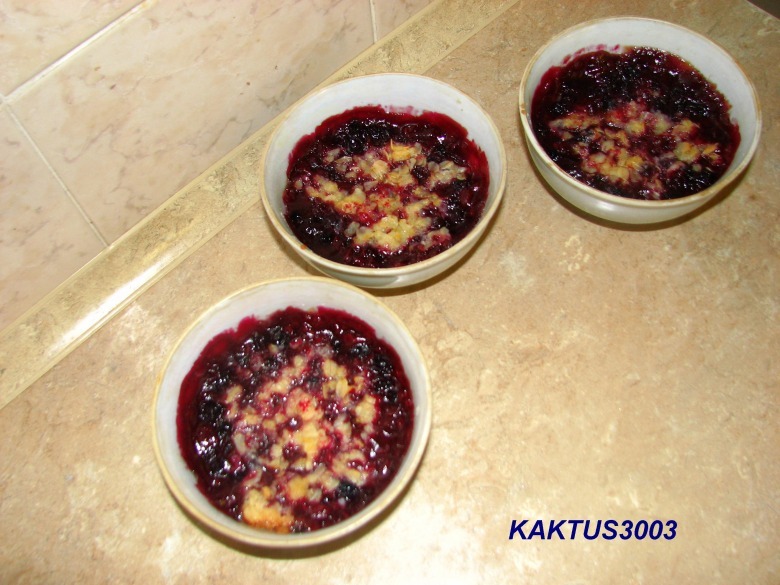 Without defrosting currant put it in the bowl (if they are strong in frost you can rinse them with cold water), add sugar and flour. 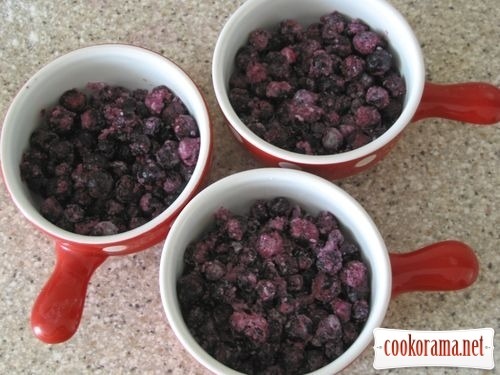 Mix it and put berries in forms (berry mixture should be up to no more than half of the form). For the topping mix diced butter with the sugar, vanilla sugar, flour and flakes. Rub all with hands to get the crumbs. Put this mixture on the top of the berries. 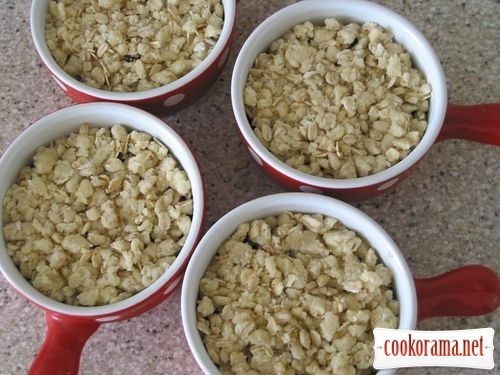 Bake crumble for 25-30min, till the top become golden, and filling boil a little. Serve it warm with ice-cream, but as for me, it`s good anyway. 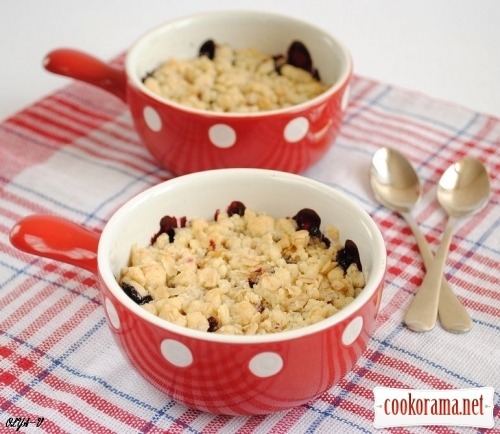 Top of recipe "Crumble with black currant"
Думаю, що від такої смакоти ніхто не відмовиться. Думаю що без пластівців теж буде смано. для крамблів начинка може бути різна. бери ягоди/фрукти/овочі за власним смаком. Черника тоже подойдет, любые ягоды можно. фото как всегда — супер! Дуже якийсь оригінальний рецепт. Дякую!